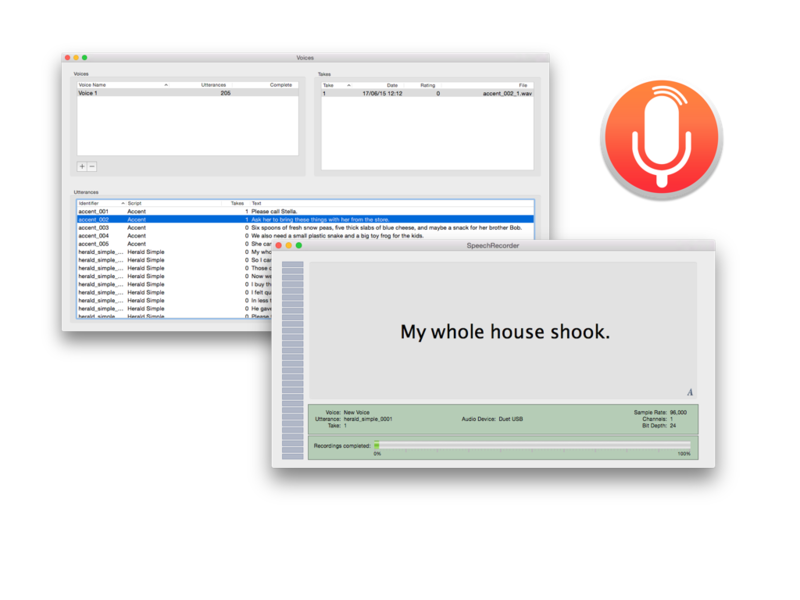 SpeechRecorder is an OS X application for recording speech. SpeechRecorder is designed to aid the recording of speech databases. It allows the user to run through a script, recording mutiple versions of each sentence and export the best instances of each. SpeechRecorder is an OS X application and will only run on a Mac. It will not run on Windows or Linux. A short userguide is available here.